The complex was designed by Hugo Torrico Camacho, a Spanish architect and landscape architect with a recognized career in luxury buildings with a specific taste to select materials for more exclusive buildings. Lomas del Marques resembles a typical Andalusian, whitewashed mountain village, called "pueblo blanco". With special attention to local trees and plants in the garden to reinforce the connection to the local area. Guests of Lomas del Marques have the opportunity to enjoy a good workout in the communal gym. 3 minutes from the complex you will find a "driving range". 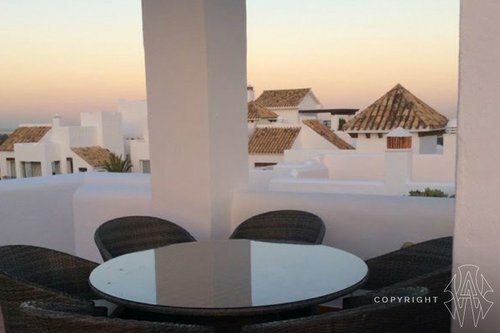 For those who like to enjoy outdoor sports, the nearby area of La Alqueria and Atalaya Benahavis challenging hills for running, cycling, mountain biking and hiking. Lomas del Marques is easily accessible via the A7 toll road from Malaga to Algeciras, exit Benahavis. Alternatively, one can take the N-340 and take the Benahavis exit on the A-7175. 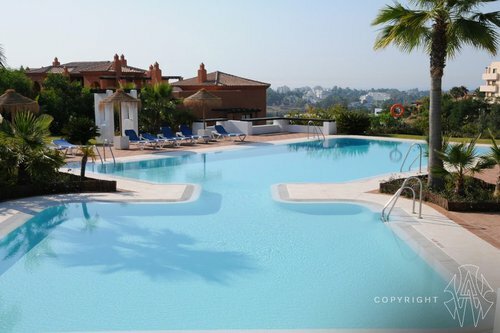 Only 10 minutes drive from Marbella center at this resort. The location is suitable for different types of vacations. Nature, golf and other sports, beach, nightlife, culture and commerce are all located within a short distance. A large supermarket is within walking distance and Benahavis, culinary jewel of the Costa del Sol. Just five minutes drive away. Costa del Sol is also known as the Costa del Golf. And not without reason, the Costa del Sol offers more than 60 courses. 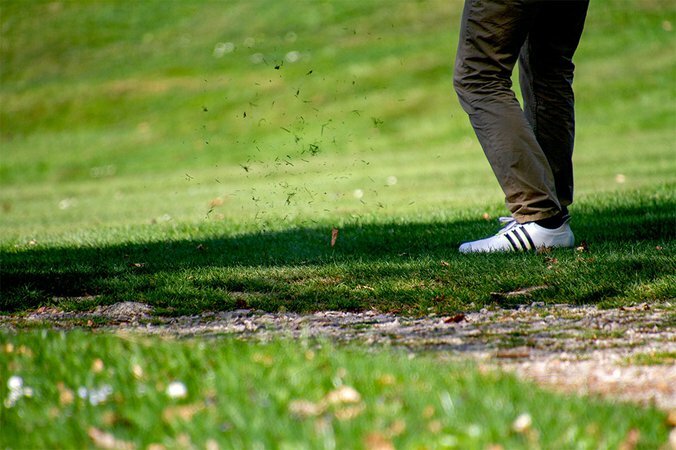 Regardless of the level and style of golf you want to play you will surely find something to your liking among the many beautiful golf courses near Lomas del Marques in the middle of the Golf Valley. Golf packages has become more popular among our clients. Atalaya Golf & Country Club, Carretera de Benahavis, km 0,7 - tel 0034 952 882 812.